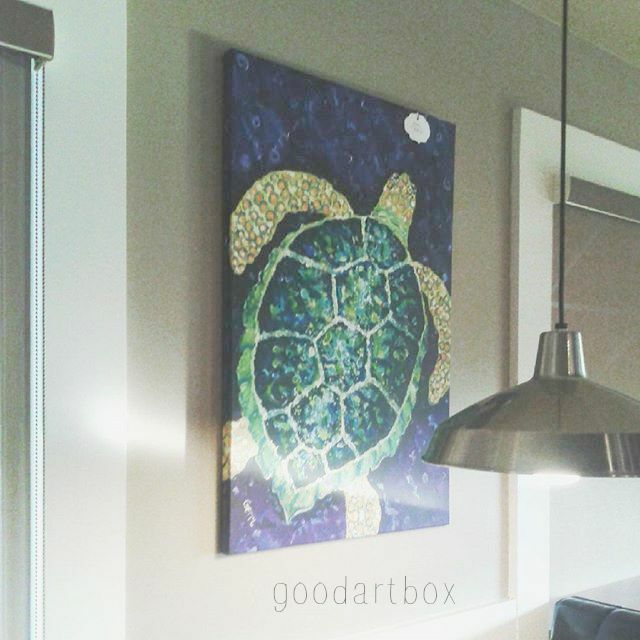 good artbox: Do you ever notice the art on the wall at a restaurant? Do you ever notice the art on the wall at a restaurant? Do you eat out sometimes? From time to time, my family and I will eat out. ...sometimes through the drive-thru and sometimes we will go to a nice sit down restaurant. A few days ago, we went to a really cool place along the Atlantic Ocean. Yeah, I thought it was very cool too. Since I started blogging about "art", I try to look around and notice the art around me. When I go to restaurants now, I always scan their walls and see what they have up ...or not have up. This particular place had so much cool art with a beach life theme. My phone was just about ready to die but I was able to capture a couple of photos on their walls. 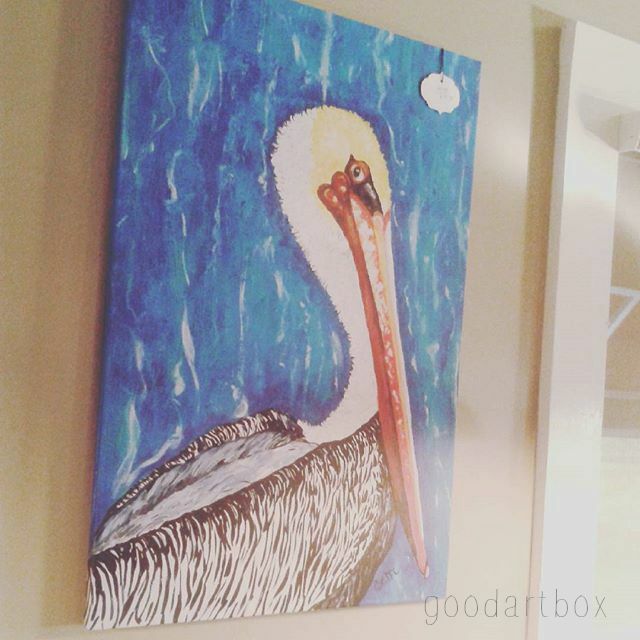 Have you noticed the art on the walls at a place that you frequent? Even some fast food restaurants have really cool stuff on their walls too. Take a look around and let me know what you have seen lately? If you are reading this as an email subscriber, keep scrolling to read the latest updates on My Natural Hair Journey!